An animated feature based on the popular Super Mario Bros. video game. Super Mario Bros. release date is set for TBA, 2022. Shigeru Miyamoto is on-board to produce; he's the creator of Mario and many other Nintendo properties (Variety, 1/31/18). 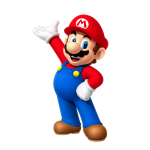 Super Mario Bros is in “priority development” at Illumination Entertainment and could be in theaters by 2022 (Variety, 11/6/18).